If there was ever a boilerplate theme for WordPress that people turned to for style and simplicity, it was Thesis, among many others. This little doozey allows you to build a professional-looking blog with little or no coding. 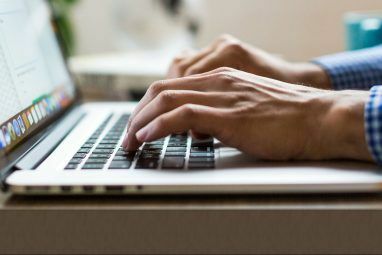 Many top bloggers such as Adam Baker and James Allen use it, not to mention its praise by the ultimate ‘Problogger’ Darren Rowse. But there is a downside to all of this. You see, in order to create a fully-functional website with no coding necessary, you have to pay. And pay big you will — $87 to be exact. However, I have found a free alternative WordPress theme clone of Thesis which is almost identical, but it’s only for those of us who aren’t afraid to get our heads stuck into bit of HTML snipping and altering. It’s called ‘2 Column Neoclassical’ theme and it’s available to download at the end of this very long post [No Longer Available]. It looks almost exactly like Thesis. 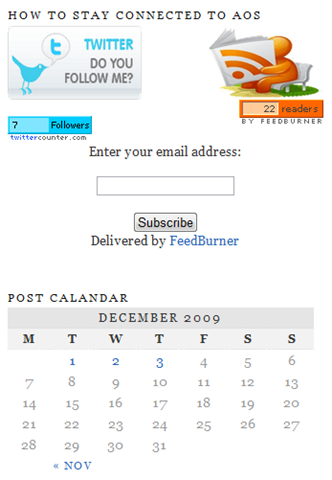 Below is a screenshot of my blog with the theme running. As you can see, it has the same fonts, format and style that Thesis has and I paid exactly $0 for it all. I customized my theme in three main ways. The first, and perhaps the most obvious was to change the header image to something more appropriate for my blog. With most themes, the code to do this is in the Header.php file so it knocked me off balance a little to discover it wasn’t. But never fear, in keeping with the Thesis ‘customization’ calling, the changes have to be made to the Custom.css file around halfway down. You’ll see the following area of code which I have highlighted. By standard, it will be like “˜themes/neoclasical2/header.png’. Enter in the location of your image (which you will have already uploaded using the ‘Add Media’ function in WordPress). It should be the URL from the ‘/wp-content…’ part onwards. You can also adjust the dimensions of the picture using the code directly above the highlighted section. The standard dimensions are “width: 910px; height:200px;“. The second change you may wish to make is to the sidebar; a place where many of us put most of our functions, feeds and fun stuff. Anyone who has used WordPress before will know that this can be done by accessing ‘Widgets’ under the ‘Appearance’ tab in the WP Admin screen. As you can see, I have inserted images (Twitter badge and RSS icon) which are hyperlinked to their respective accounts. I also added in some counters (still shamefully low as it’s in its first month!). I also added in a calendar and other generic widgets which are already on WordPress, by dragging them into the sidebar on the ‘Widgets’ menu. Another thing you may want to add to your blog is advertisements. The bulk of services (such as AdSense) serve you your ads in HTML code. To add this to your sidebar (or indeed anywhere on your site), simply paste this code into a text widget on your sidebar (or elsewhere, into a code file if you want it somewhere else, such as in the header). Finally, if you want to spice your site up a little and boost traffic, add social media such as Twitter, Digg and Stumble Upon. What do you think of the FREE Thesis WordPress theme clone? 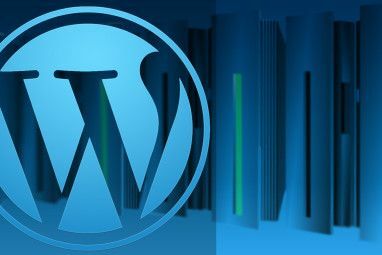 Which is your favourite professional-looking WordPress theme? The reason is that it is based on a very powerful theme framework called Atahualpa and therefore it's totally customizable (including adding or removing the top right rotating image or video). If you like please comment to the original article. While this may LOOK like a standard Thesis install -- 99% of the power of Thesis is not in the design, but in what's behind it. Ha, I was about to say the same thing! Chris Pearson developed both the NeoClassical and Thesis themes. As well as the Copyblogger theme and Pressrow. As long as you have some coding ability, a free theme works just fine. Some premium themes, like Thesis, are great to have when they offer unique tools or a complex design that you've fallen in love with it. Sweet theme! I agree that Thesis, along with Frugal, or any other premium WordPress theme, is a worthwhile investment. Unfortunately, not everyone has that money to spend, which makes this theme a great alternative. 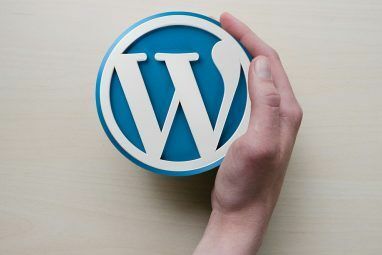 There are more than enough free WordPress themes to choose from, including this one, but I always find myself wanting to tweak them "just a little bit....."
You can get a lot of the features of Thesis by using the comparable, but FREE WordPress framework: Thematic. I successfully migrated a WordPress theme to Thematic child theme on my own blog. The Theme is a modification of the 3 Column Neoclassical Theme which in fact already carries some resemblance to the Thesis Theme. I only removed one of the sidebar, widened the other one and customized the navigation links. Both Thesis and the Neoclassical Theme are from the same designer. Like you mentioned, please be reminded that the Theme is just a clone in the basic looks of the Thesis and is nothing close when it comes to the actual framework and codings. Thanks for the reference in the article. Thesis has been wonderful for me in terms of making things easy and simple to change and edit. I wonder why people are mad about Thesis! See the free Atahualpa theme and it is just awesome! You can make a great site with it as it has more than 200 customisation options! Well I didn't personally develop it! I'm afraid my coding skills are limited to modifying themes slightly! Thanks Dean, this is a killer post. I will be trying it out on some niches and suspect it will get used a lot here. One reason this is very exciting to me is that a couple of years ago I purchased the developer edition of Thesis (very expensive,) and used it on many of my own sites and really liked it. Then Chris Pearson sent out a form letter email to everyone I think, that said if you are a developer you need to pay $40 for each client site you build. WTF? I did not remember seeing anything like that in his sales hype so wrote back and said so. The answer was a snotty read the fine print. I never used Thesis again on any of the hundreds of sites I build. This will give me pleasure to use the clone. I know, Thesis is a little steep. It's a great theme but the prices I was looking at were fairly high. Especially for the developer option. I didn't hear about the $40 price hike for every subsequent blog you develop. Thanks for sharing! The Developer License lets you use it on as many of your own blogs as you like. If you've got a few blogs it is terrific value, plus don't forget free updates for life. So anyone who bought it a few years ago has gotten great value out of it already. The $40 Client License was introduced so that developers could buy a license on behalf of their clients, instead of asking their clients to signup as a customer themselves and buy the theme. You then simply on-charge that $40 in your development price. Much the same as commercial fonts or stock imagery that you might purchase on behalf of a client. I agree with the first comment, the "look" of Thesis is easily replicated and if thats what you're going for then use tricks like this by all means. It is the functionality and development power that most people buy Thesis for and that is something you simply can't reproduce with a bit of CSS. Well to be honest, if you're making $87+ per month from Adsense alone then sure, Thesis may well be a great option. Anyone making almost $100 a month from blogging is surely heading up the leader boards. But by in large, blogs can dwindle after a few weeks, even days. And many people would like a good theme that's risk free. Thesis is definitely a great theme as I outlined at the start of the post, but there are free alternatives.